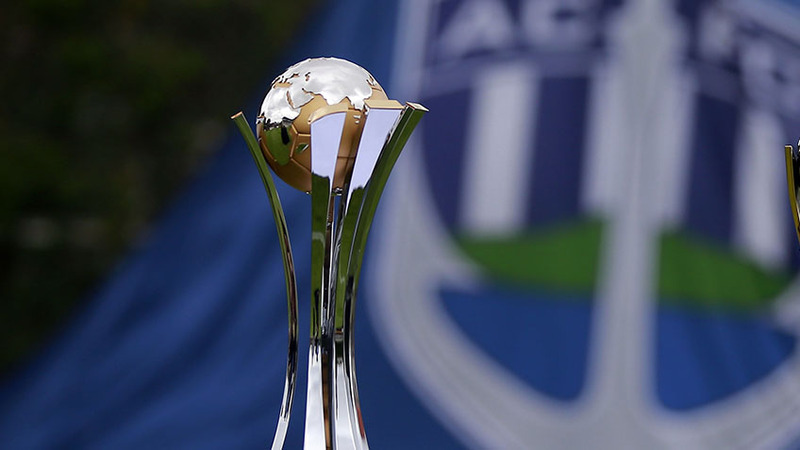 AUCKLAND, New Zealand - The FIFA Club World Cup is in for a revamp that could see the competition expand to a 24-team event - but how involved the winners of the OFC Champions League will be remains unclear. FIFA has agreed to wait until March 2019 before putting forward concrete proposals but it is understood that the chief opponents of any such expansion include UEFA, the European Clubs Association and the PFA. FIFA President Gianni Infantino is thought to be keen on expansion and formed a taskforce to explore the merits of potential new formats in more detail rather than forcing through a vote at the recent FIFA Congress. Two options for a new Club World Cup from 2021 were floated to council members. The first would see a tournament staged every four years over a maximum of 18 days in the June slot currently used by the Confederations Cup, which serves as the warm-up event a year before the World Cup. FIFA earlier this year proposed 24 teams but is now leaving that competition field open. The second proposal would keep an annual Club World Cup but shift it from December to the July-August window currently used by European teams for often-lucrative preseason friendlies in the United States and Asia. FIFA has delayed deliberation over a new format for the FIFA Club World Cup until March 2019 but what shape Oceania's future participation in the competition takes remains unclear. Also on the table was the formation of a global Nations League, a concept first conceived by UEFA when Infantino was general secretary of European football's governing body before being elected president of FIFA in 2016. It debuted in Europe last month. Infantino wants the format to involve all six confederations with eight-team finals serving as mini World Cups in every odd-numbered year. With changes to the FIFA Club World Cup all but inevitable, there could be big implications for Oceania-based clubs who have received a playoff spot in each of the annual editions of the tournament since 2005 when Sydney FC represented Oceania in Japan and finished fifth. Since then Waitakere United, Auckland City FC, Hekari United and now Team Wellington have represented Oceania at the Club World Cup with the Navy Blues fifth and third placed finishes the highwater mark for the region. An annual participation would ensure ongoing regularity of top level football while a four yearly event poses more questions about how an Oceania qualifier would be determined, what impact it would have on the OFC Champions League generally and whether or not the region's winner could be shut out altogether by being paired in a playoff with a club side from CONMEBOL. "FIFA are thinking about a couple different formats for the Club World Cup and this is a tournament that has been very important for our club and region for a long time now. "Our club brand bigger has grown exponentially because of our participation on the world stage so from a selfish point of view it would be preferable it's played on an annual basis. "Broadly speaking, it's important all the club teams in Oceania have an opportunity available to play against the best so we can improve our own standards. "An annual competition keeps the motivation and spirits very high because these are important opportunities to improve," Tribulietx said. There is strong media speculation FIFA's preference is for a four yearly competition to replace the Confederations Cup with Oceania facing a playoff to reach the tournament proper. Tribulietx remains wary and will maintain a watching brief with so many stakeholders pushing in different directions on the subject. "If it becomes a four yearly competition then maybe we have to find another way to test ourselves regularly against the best teams somehow. "I don't know how qualifying for the new competition would work but for the winning team it could be a long wait for involvement. "If it becomes a 24 team competition things will change for Oceania but at the moment there's no clarity on whether we keep a qualifying slot or it becomes a half place," he said. Auckland City FC has in the past played in regional international competitions including the one-off OFC President's Cup in 2014 and last year's Nike Lunar New Year Cup in Hong Kong. The Navy Blues won both competitions against professional club sides and national teams from AFC and CONCACAF. They have also played friendlies with Central Coast Mariners, Melbourne City FC, Sydney FC, Kuwait and Japan, amongst others, all with a reasonable success. Tribulietx says that constant engagement is a vital element in keeping standards high. "We're a small confederation and we need to play professional teams more often if we want to get better and raise our standards. "We've always been competitive when we've played in tournaments outside our region and that's helped us stay successful at home. "But I hope the outcome is good for Oceania and we maintain our involvement in the Club World Cup on a yearly basis. "At the moment we're only guessing as to what could happen. We will have to wait until it is clarified next March. "We just have to hope for the best and maybe FIFA remembers that over the course of the last 12 years we've competed well and hopefully we can be part of the future." *Australia left OFC on January 1, 2006.